Magnolia grandiflora 'Bracken's Brown Beauty' is a Southern Magnolia with large fragrant white flowers in June and July, and glossy dark green evergreen leaves with rusty undersides. One of the most cold tolerant, introduced by Ray Bracken Nursery. It is also salt tolerant. 'Little Gem' Southern Magnolia is a compact cultivar of our stately native evergreen Magnolia grandiflora. The habit is tight and compact, with large lustrous dark green leaves which have a fuzzy brown indumentum on the undersides. The large white flowers are fragrant and appear intermittently from late May through July. Magnolia grandiflora 'Little Gem' needs to be planted in a sheltered location, with particular protection from the winter winds. Teddy Bear® ('Southern Charm') Southern Magnolia has a tight pyramidal habit on a compact plant. The dark green lustrous leaves have attractive brown indumentum and are evergreen. 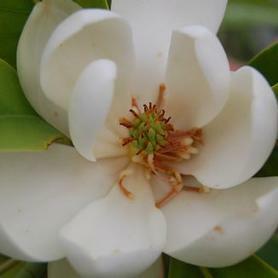 Magnolia grandiflora Teddy Bear® produces large fragrant white flowers from June to August. A Head Introductions, Teddy Bear® is an excellent choice for smaller locations. Give it some protection from winter winds when possible. 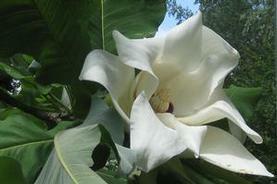 Bigleaf Magnolia has large creamy white single flowers in spring and big rose-colored fruits in summer. Magnolia macrophylla is well known for its huge tropical-looking leaves. Umbrella Magnolia is very tropical looking with huge single white flowers in summer and enormous leaves in an umbrella-like configuration. 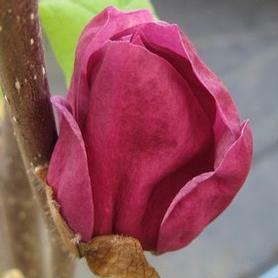 Magnolia tripetala's showy rose-red fruit appears in September. 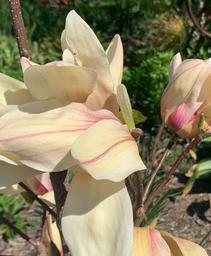 Sweetbay Magnolia has fragrant white flowers starting in June that will bloom for much of the summer. In fall it has showy red fruit with orange seeds. Magnolia virginiana is also wet site tolerant, and is an important food source for the Tiger Swallowtail Butterfly larvae. 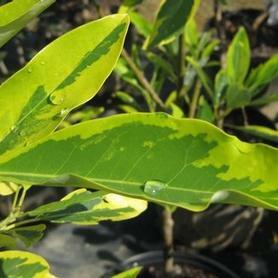 Green Mile™ Sweetbay Magnolia has an unusually tight, upright form, with lustrous dark green semi-evergreen foliage. The extremely fragrant white flowers start appearing in June and continue for much of the summer. They are followed by attractive red fruit with orange seeds in the fall. Green Mile™ Magnolia is a selection by Alex Neubauer of Hidden Hollow Nursery in Tennessee. Wet site tolerant, and the larval host for the Sweetbay Silkmoth and the Tiger Swallowtail Butterfly. NYBG has planted an allee of them bordering their native meadow. 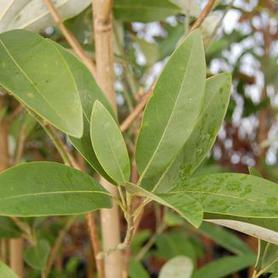 The evergreen foliage of 'Green Shadow' Sweetbay Magnolia forms a tight oval tree with fragrant white flowers in summer. This Magnolia virginiana is a selection og M. virg. var. australis by the great Don Shadow from seedlings from the great Joe McDaniel. It is also wet site tolerant. Formerly named 'Greenbay'. 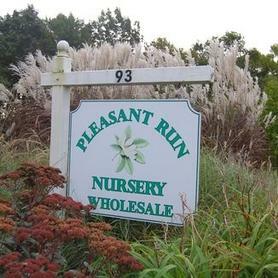 PRN Preferred: Reliably evergreen. The form is narrower than other cultivars. Establishes a center leader more easily. 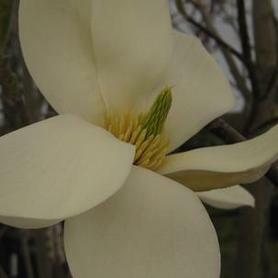 'Henry Hicks' Sweetbay Magnolia has fragrant white flowers starting in June. 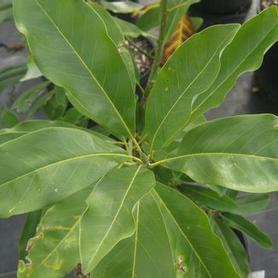 It has evergreen foliage since it is an australis selection and is one of the hardiest forms of Magnolia virginiana. It is also wet site tolerant. Another wonderful introduction by Dr. Joe McDaniels of Illinois. 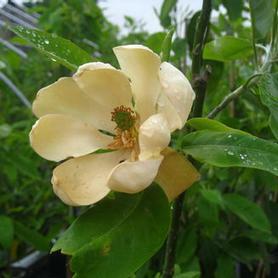 Moonglow® ('Jim Wilson') Sweetbay Magnolia has white fragrant flowers in the summer and is very hardy, has rapid growth, is wet site tolerant and semi-evergreen. 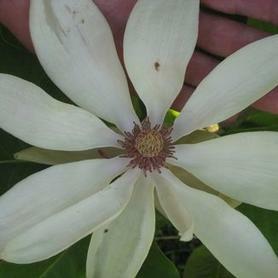 Magnolia virginiana Moonglow® is a great introduction by Earl Cully. 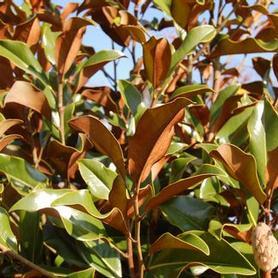 'Mardi Gras' Southern Sweetbay Magnolia has beautiful foliage, with wide yellow margins and irregular blotches on dark green leaves. The color is especially striking in late spring and summer, and since Magnolia virginiana var. australis 'Mardi Gras' is semi-evergreen, the beauty is carried into the winter. Like other M. virginianas, it produces fragrant creamy-white flowers in May and June, followed by colorful fruit. Black Tulip™ ('Jurmag1') Saucer Magnolia has large cup shaped deep purple-pink flowers in April, before the leaves emerge. The thick, upright petals make the flowers look neat and crisp throughout the bloom period. A showy introduction by Monrovia Nurseries. 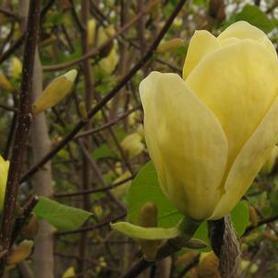 Magnolia x 'Butterflies' has deep yellow fragrant flowers appearing before leaves emerge. It has an upright pyramidal habit, and is one of the best yellow Magnolias, from legendary Magnolia breeder Phil Savage of Michigan. 'Cotton Candy' Magnolia is a Dennis Ledvina cross between 'Red Baron' and 'Blushing Belle'. The huge flowers are a strong clear medium pink on both the interior and the exterior. 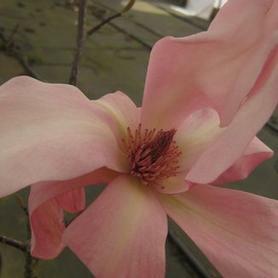 M. acuminata is in half of its ancestry, so 'Cotton Candy' is unusually cold hardy for a "campbellii type" of Magnolia. The open faced flowers face upward, and when in bloom, the effect of 'Cotton Candy' is stunning. The habit is upright and vigorous. Magnolia x 'Daybreak' has extremely fragrant large glowing pink cup-shaped flowers in May, on a narrow upright form. Hybridized by Dr. August Kehr, and said to be his favorite of all his many crosses. PRN Preferred: No other color like this in the Magnolia world. Your eye is drawn to it when it is in bloom. 'Genie' Magnolia is a spectacular color breakthrough in the Magnolia world, with lots of black-red flower buds that open to small cup-shaped rose-purple blooms. The tepals are the same color on both sides, which heightens the color intensity. 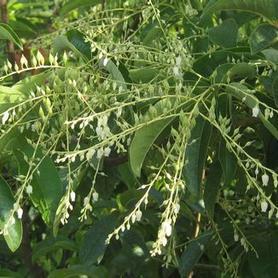 The flowers are lightly fragrant, and the bloom period is from April to May. This stunning plant is the result of 15 years of hybridizing work in New Zealand. 'Gold Finch' Magnolia is a complex cross from the late Phil Savage of Michigan. The M. acuminata parentage can be seen in its habit (tall and upright) as well as its flower color (light yellow). 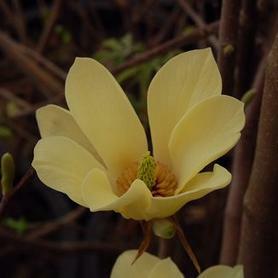 Magnolia x 'Gold Finch' is very cold hardy, and is a rather early bloomer. The large showy blossoms are tulip or goblet shaped. 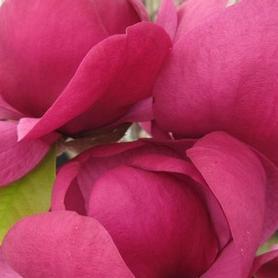 'March till Frost' Magnolia has large upright tulip-shaped blooms of a beautiful deep rose-purple color. This introduction from Dr. August Kehr starts blooming in late March and early April, and continues to bloom sporadically throughout the summer into the fall. It was one of Dr. Kehr's favorites, and we have always loved the "surprise package" it makes when the large showy flowers open up in late summer and fall. 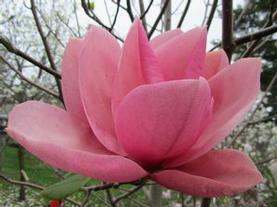 PRN Preferred: No other Magnolia comes close to putting out more flowers throughout the growing season. The summer and fall flowers are not washed out. Truly remarkable. Magnolia x brooklynensis 'Judy Zuk' is a spectacular and fitting tribute to the much missed former president of the Brooklyn Botanical Garden, Judy Zuk. Upward-facing fragrant flowers are a strong yellow, flushing to orange pink at the base. A very beautiful Magnolia coming from BBG's wonderful hybridizing work. M. acuminata is prominent in its ancestry. 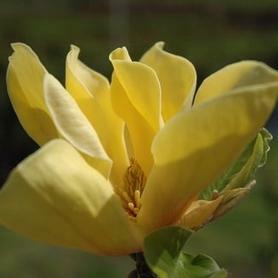 PRN Preferred: The combination of yellow flushing to orange is stunning, and this is our favorite deep yellow Magnolia. The bright yellow flowers of 'Lois' Magnolia appear somewhat later in the spring than its parent, 'Elizabeth', so frost is less of an issue. The blooms open before the leaves emerge, so they make a spectacular show. Named by Dr. Lola Koerting (BBG's great Magnolia hybridizer) in honor of Lois Carswell, and one of our favorite yellow Magnolias. 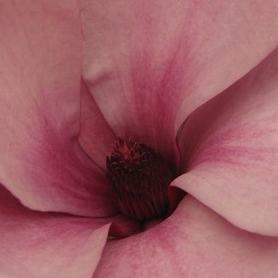 'Sun Spire' Magnolia is another lovely introduction by the late Dr. August Kehr. The flowers are deep yellow and held upright on the branches. Since they appear late in the spring after the danger of frost, the display is consistently showy, like a tower of fat yellow candles. The habit is distinctly upright, making Magnolia x 'Sun Spire' is a great candidate for smaller gardens and tight spots. The parents are M. x 'Woodsman' and and M. x 'Elizabeth'. 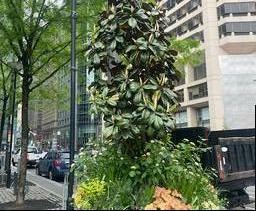 These magnificent native Magnolias contradict their definite tropical look with reliable winter hardiness in the Northeast. They are being used on the High Line in NYC in a shady area between buildings to give the feeling of a cool tall forest area. 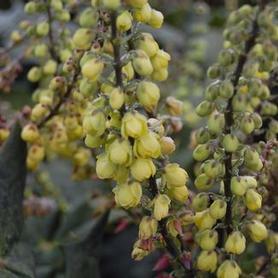 Leatherleaf Mahonia has lemon-yellow fragrant flowers in February and March, blue bird-attracting fruit in summer and is evergreen. The upright angular habit adds to its architectural interest all year. Mahonias are in the same family (Berberaceae) as Barberries and Nandinas and share their characteristic deer resistance. In fact, taxonomists now refer to Mahonia bealei as Berberis bealei (Beale's Barberry). 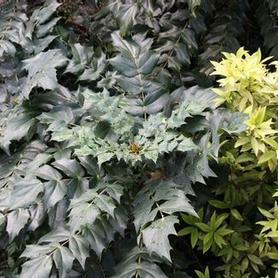 Japanese Mahonia is often confused with Mahonia bealei, but the foliage is a darker, glossier green, and the texture is finer, with more leaves per stem. It is evergreen, and produces fragrant yellow flower panicles in February and March. Bees and insects benefit from the blooms on warm winter days, and birds love the glaucous blue fruit in early summer. The new taxonomist designation for Mahonia japonica is Berberis japonica. Russian Arborvitae is a soft, flat growing evergreen that has plum colored winter foliage. Microbiota decussata's summer color is delicate fern-like green. Great in dry shade, where it spreads extensively. It will not tolerate wet conditions. 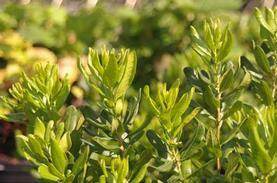 The dark green highly aromatic foliage of Northern Bayberry is semi-evergreen. It forms large colonies eventually. 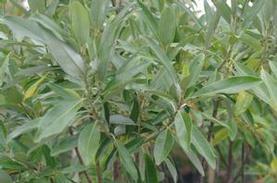 Myrica pensylvanica is especially useful in dry, salty sites. 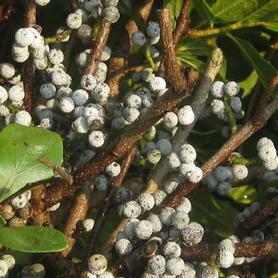 Gray waxy fruit borne on female plants (dioecious). The white flowers of Heavenly Bamboo appear in June and July. They are followed by brilliant red fruit, persisting through the winter, and red fall and winter foliage. 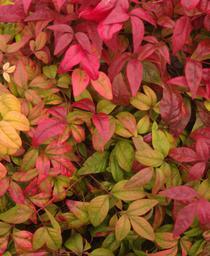 Nandina domestica is semi-evergreen, especially in a sheltered spot. 'Fire Power' Heavenly Bamboo has a nice compact habit. Its leaves have shades of green and red, and it is semi-evergreen. The leaf structure differs from all other Nandinas, as does its fall color, in shades of orange. It does not produce fruit. Gulf Stream™ Heavenly Bamboo is a semi-evergreen with blue-green foliage that turns red in fall and winter. It has small white flowers in July but does not produce fruit. This Nandina domestica has a very upright, tight habit. Green Gable™ ('NSUHH') Black Gum or Tupelo is a really amazing selection of this native tree. 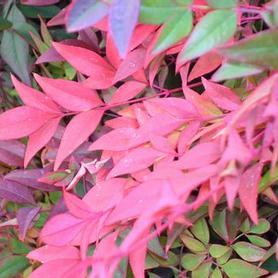 It has the classic brilliant red fall color we know and love, but its habit is a huge departure from regular Nyssas, with an upright pyramidal shape and extremely uniform branching. With its lustrous green foliage in summer, excellent fall color and perfect silhouette in winter, it is clearly the best answer we've seen to the Pear requests people still have. Alex Neubauer of Hidden Hollow Nursery in Tennessee found this exciting native, which is primarily a male form (but probably polygamo-dioecious, which means it will infrequently bear some fruit). Wet site and salt tolerant. PRN Preferred: This tree has a wonderful upright habit and consistantly beautiful fall color. 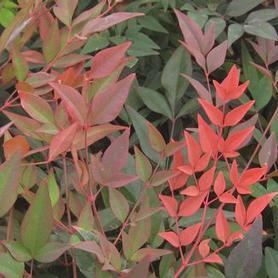 'Wildfire' Black Tupelo has spectacular red-tipped new growth into summer, followed by excellent red fall color. Introduced by Steve Hotevey of Beyond Green Nursery in Oregon. Nyssa sylvatica 'Wildfire' is also wet site and salt tolerant. 'Goshiki' Holly Tea Olive has stunning bronze new growth that changes to shiny Holly-like green leaves liberally speckled with creamy white. Osmanthus heterophyllus 'Goshiki' provides late summer fragrance with its inconspicuous flowers. Introduced by Barry Yinger and Brookside Gardens. 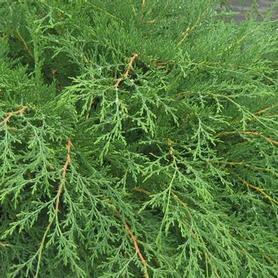 An evergreen that likes shady spots. 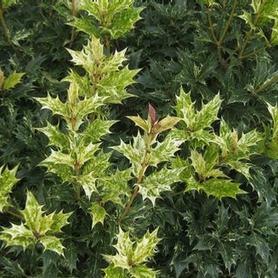 'Gulftide' Holly Tea Olive is a lovely upright English Holly look-alike, with excellent shade tolerance and deer resistance. 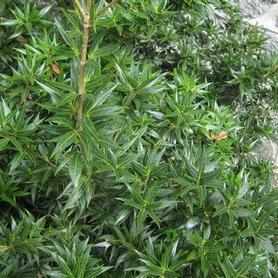 The evergreen leaves are lustrous, fine and spiny. 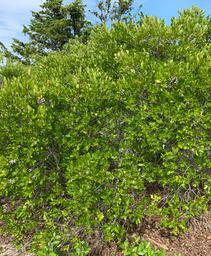 Osmanthus heterophyllus 'Gulftide' can be used as a foundation plant, or as a hedge in shade. From Gulfstream Nursery, and the most cold tolerant Osmanthus. 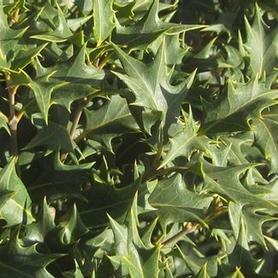 'Sasaba' Holly Tea Olive has dramatic dark green deeply incised leaves on a compact, shade loving plant. Dr. Michael Dirr calls it "A plant handler's worst nightmare" because the leaves are very stiff and prickly. Of course, that is what makes it a wonderful evergreen for deer country. The insignificant flowers appear in November and are highly, deliciously fragrant. There is a lovely large plant at the Scott Arboretum, home of so many specimen plants. Slow growing, with good cold tolerance. 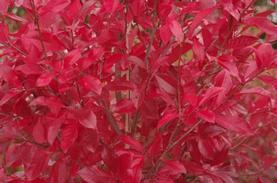 Sourwood has strands of bell-shaped white flowers in mid to late summer and brilliant red fall foliage. Oxydendrum arboreum is a wonderful tree for honeybees, producing excellent flavored honey. This is a multi-season beauty from the Ericaceae (Rhododendron family).